Jesse Strange is not your ordinary DJ. He is a melodic masterpiece of all things unordinary. He is disrupting the wavelengths in the US in his home state of Oklahoma and has everybody looking to the booth for that masterful sound. 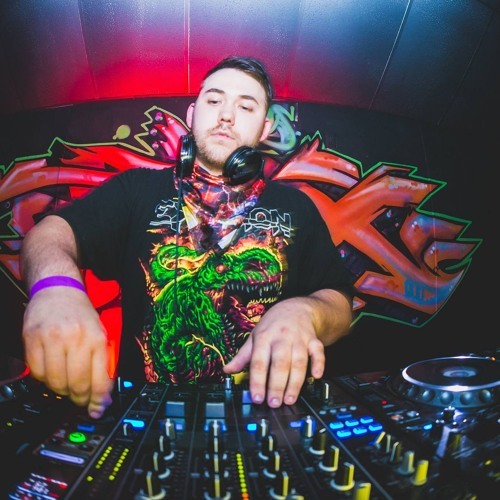 This young DJ has captured the attention of clubs all over the state such as Citywalk and Club Albee in OKC and Red Ultra and growing after hours venue The G Spot in the Tulsa area. He is also one of the co creators of the up and coming Bonfires and Bass music festival that takes place in oklahoma and is currently working on securing a spot in Wakarusa. Jesse Strange has a wide variety of music ranging from electro to hip hop. this DJ doesn't play music he plays the crowd. He reads the crowd and bases his song choice on them. the energy put into his mixing is phenomenal and is unparalleled by none other. Personal preference is electro, house, and the latest dubstep. However this versatile young mind is not afraid to go outside of his comfort zone and make thing stranger than they already are to please the crowd. He loves what he does and make no mistake he thrives on the crowd. This conquering young mind is astounding and relentless with every track making precise mixes with the utmost accuracy to ensure proper key, phrase, and most of all basslin match accordingly and truly shocks the crowd with his unmistakable effects and spectacular performance comparable only to a jackrabbit having a seizure. Hyper and energetic Strange wastes no time and holds nothing back while playing he tries his hardest to put as many tracks in a set so not to leave any genre untouched, yes even country ;) while maintaining a godlike energy through the speakers. he will most certainly become someone to see and definitely a face to be recognized in the modern dance scene.